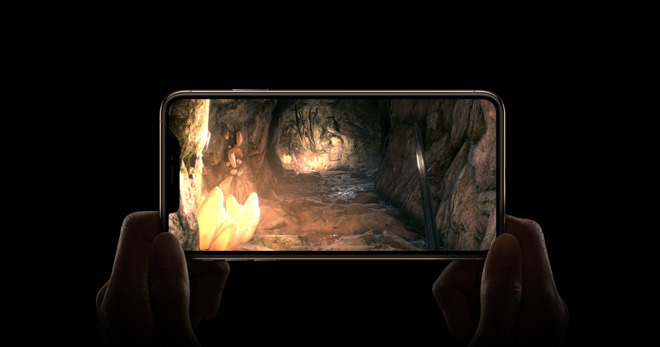 The first few days after release are proving rocky for some iPhone XS and XS Max owners, who are coping with bad Wi-Fi and cellular connections on their new mobile devices. At the moment AppleInsider can confirm there are scattered complaints about the issue. This includes posts on Apple support forums, Reddit, and elsewhere. Affected people are having a harder time connecting to the internet, and seeing slower speeds than older iPhones when they are successful. The glitch doesn't appear to be limited to a single carrier or region, which may support the hypothesis of an iOS 12 issue than something network-specific. There are other possibilities however, such as a hardware defect in some but not all production models. Initial surveys of service locations don't see a large number of complaints as of yet, and none of AppleInsider's units manifest the problem. Apple infamously dealt with a so-called "Antennagate" following the 2010 launch of the iPhone 4, in which people discovered that holding the phone a certain way caused interference. The company pointed out that rival's products had similar problems. Since then, Apple has redesigned its antenna layouts several times, both to get around grip concerns and adapt to new back materials and designs. The XS and XS Max have a new antenna line along the bottom, which should theoretically improve wireless connectivity.